Retired Air Force officer and computer science professor now "focusing" on my long-time interest in photography. 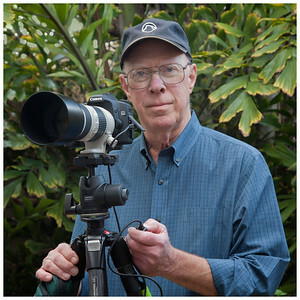 I've attended a number of workshops and have studied individually with architectural and fine art photographer Robert Hansen. I've published selected images from the missions, cars, and other galleries in five books -- check them out at blurb.com; also see my tutorial on photographic image quality.